Rewarm leftover muffins in the microwave to serve wtih another meal. 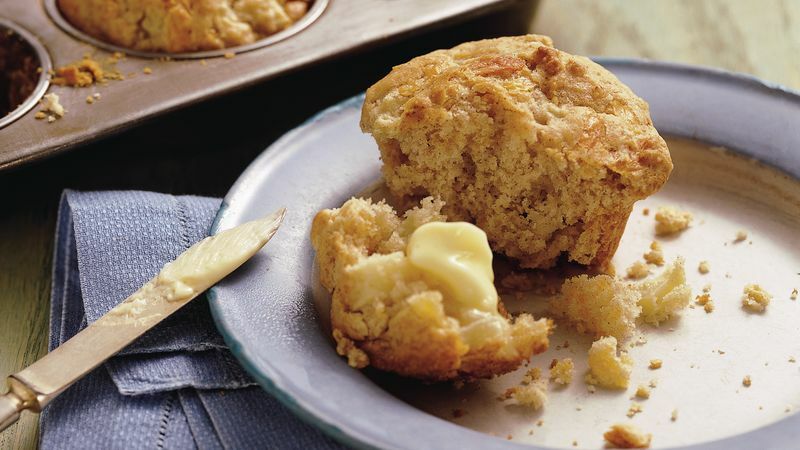 Place muffins on a microwavable plate or in a napkin-lined basket. Microwave uncovered on High 10 to 15 seconds for 2 muffins or 20 to 30 seconds for 4 muffins. Here are a couple of hints so your muffins bake nicely and have rounded tops. Mix the batter only until the dry ingredients are moistened. The batter will be slightly lumpy. Also, be sure that your oven isn't too hot. If the oven heats unevenly or is too hot, the muffins will be peaked.